The United States of America is Israel’s big brother and really loves us. Israel does not have and apparently will not have another friend like it. According to a recent Congress report, Israel is the country that has received more cumulative American aid than any other country since the end of World War II. Since it began in 1962, American military aid to Israel has amounted to nearly $100 billion. For the past decades the United States has been regularly transferring aid of about $3 billion annually. In recent years, the aid has been solely for defense purposes. Additionally, the U.S. has been giving Israel generous military aid for projects that are important both to it and to Israel. Between the establishment of the state and the first decade of this century, the economic aid the United States gave Israel was modest. Its civilian aid to Israel began in 1949 – less than a year after the establishment of the state, when Israel was in terrible economic distress – with help in purchasing food and absorbing the mass immigration of Jewish refugees. The amount of the aid was small, $100 million, and some of the money went towards purchasing basic foodstuffs, such as grains. In the 1950s, America gave Israel only civilian aid, for economic purposes, and this was doled out in loans and small grants. In 1951 the United States refused to help Israel advance the reparations agreement with Germany, which was signed the following year and gave Israel some economic breathing room. The change began during Lyndon Johnson’s administration (1963-1969), when the United States began transferring more significant civilian aid to Israel, which increased over the years. Between the establishment of the state and 1962, the United States under Presidents Harry Truman and Dwight Eisenhower imposed a total arms embargo on Israel. The first president to lift the embargo was John Kennedy, who in 1962 allowed Israel to pay in full for surface-to-air Hawk missiles. In 1965 America sold offensive weapons – Patton tanks – to Israel for the first time. In the 1960s, France was Israel’s major arms supplier, until the turnaround after the Six-Day War, when the United States became its main supplier. In 1984 the Cranston Amendment stopped loans to Israel while increasing the grants in order to put an end to past debts. From 1985 on, in the framework of the plan to stabilize the economy, American aid was pegged at a grant of $3 billion annually. In that year Israel also received another grant of $1.5 billion. One of the negotiators between the countries in 1985 was Professor Stanley Fischer, who later became the governor of the Bank of Israel. The largest amount of American aid in grants and loans in a single year came to $15.7 billion in 1979, when Israel signed the peace treaty with Egypt. Cumulatively, American aid to Israel between 1950 and 2013 amounted to about 3% of Israel’s GDP during that period. For about the past 20 years, under the American-Israeli agreement, the grants from the United States are used for the purpose of purchasing arms and other security equipment (for example fuels) that Israel needs for propelling its war machine. One of the most expensive arms deals in the history of Israel’s defense forces – the purchase of 20 F-35 fighter planes for $2.7 billion – will be financed entirely by aid money. The deal was signed towards the end of 2010 and the first planes are slated to be delivered to Israel next year. Last weekend, in the context of Operation Protective Edge, it was learned that the White House had ordered the Pentagon, the Defense Department and the Army to hold back a shipment of Hellfire missiles for Israel’s Apache helicopters. 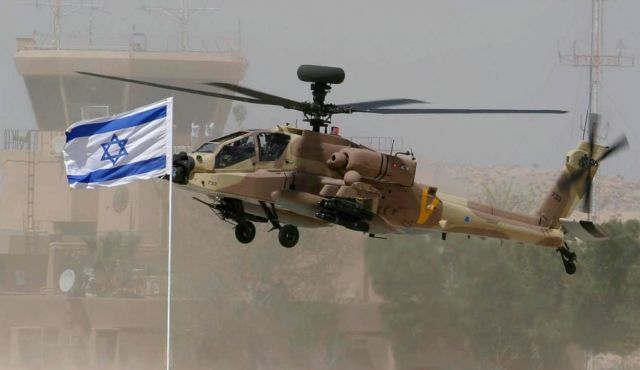 Both the helicopter and the missiles have been in use in Israel since 1990. Depending on the model, each missile costs between $25,000 and $65,000. This is a localized and insignificant incident, not even a light tap on the wing. The move is somewhat reminiscent of the temporary suspension of flights to Israel during Operation Protective Edge. Does anyone still remember that? However, the Hellfire incident is not the first in which the United States has used an embargo, a delay, or threats of an embargo to obtain something from Israel or to send it a message. To the big brother’s credit, it must be said that it does not do this very often. The most outstanding incident of this sort occurred during the first days of the Yom Kippur War, when America’s Secretary of State Henry Kissinger delayed Israel’s requests for the provision of weapons systems and ammunition for the purpose of applying diplomatic pressure. Later in the war, the United States provided an unprecedented airlift, even though most of the rest of the international community made things difficult for Israel by refusing to grant American transport planes landing rights for stopovers. In 1981, President Ronald Reagan, who was friendly towards Israel, halted the provision of F-15 fighter planes after the bombing of the Iraqi nuclear reactor. Diplomatic circles in Jerusalem assess that the Hellfire missile issue will be resolved in the coming days, if it has not already been resolved, in discreet talks between Washington and Jerusalem. Relations between Israel and the United States are now at a peak, but their start was bumpy. On November 29, 1947, the United States supported United Nations General Assembly Resolution 181 to recognize Israel, but in March of 1948 it leaned towards passing a General Assembly resolution aimed at rescinding 181 because of Israel’s condition on the battlefield and pressure from hostile Britain and the Arab world. During the first decades of the state’s existence, American economic aid to Israel was modest and confined to civilian aid. Under a special agreement, the United States maintains in Israel caches of $1 billion worth of emergency munitions, including rockets, artillery shells and armored combat vehicles. The project is operated by the European Command of the U.S. Army. In the Second Lebanon War and in Operation Protective Edge, the United States sold Israel armaments from these caches. The United States has also helped Israel over the years with joint military and defense projects essential to both sides. For example, the United States helped and is helping Israel develop its multi-layered defense system that includes Iron Dome, Magic Wand and the Arrow. The cost thus far has been about $3 billion, including more than $1.3 billion for Iron Dome. In May 2010 President Barack Obama asked for and received a special allocation of $205 million for the Iron Dome project above and beyond the regular American military aid. Subsequent requests for funding for the project have also been approved, including $351 million that Israel requested for purchasing additional Tamir interception missiles for Iron Dome in the third week of July, during Operation Protective Edge. A week later, both houses of Congress approved, with President Obama’s backing, a special additional aid package for Israel of $225 million for purchasing more Tamir missiles. Only two weeks intervened between the time the request was submitted and its passage – which shows that the case of the Hellfire missiles is localized and should not lead to any far-reaching conclusions. A possible explanation for the difference in attitude is that the Tamir missiles are for defensive purposes whereas the Hellfire is an attack missile.